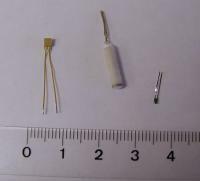 For maximum sensitivity, detectors in the infrared/THz range require cryogenic cooling. Blue Sky Spectroscopy has extensive experience with design, construction and operation of liquid cryogen and cryogen-free cryostats and related technologies. For laboratory applications, cryogen-based detector systems offer advantages of lower initial cost, higher cooling capacity, and simpler vacuum design, whereas cryogen-free cryostats are simpler to use and cheaper in the long run. 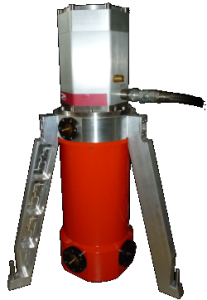 We can provide standard or custom dewar configurations, from LN2 to 4He temperatures. 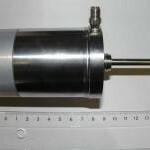 We also have experience with closed cycle 3He-4He refrigerators, which provide cooling to 0.3 K.
In systems where instrument size and maintenance are main concerns, we can provide integrated detector cooler assemblies (IDCAs) based on closed cycle refrigerators, with vacuum and cooler lifetimes measured in years. In order to provide minimum operational requirements, care must be taken in the dewar design and construction to minimize thermal loading and maximize cryogen hold times. We can provide 4He systems with hold times measured in weeks. Hermetically sealed cryocooler-based systems require considerable care in the dewar design to achieve non-pumped lifetimes equal to the cryocooler MTF, with hold times measured in years. 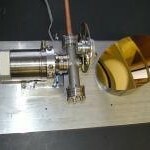 Using industry standard Lakeshore temperature sensors, our own low-cost calibrated sensors, or more exotic low temperature bolometers, we have extensive experience in the cryogenic thermometry required for instrument control, diagnostics, and characterization.